Welcome to the Diggers K9 Education website. Our journey begins some years ago. We were searching animal shelters for likely canine scent detection cadets when we quickly became aware of not only the enormity of the homeless dog problem but also the over representation of herding breeds. The Border Collies, Kelpies, Koolies, Heelers etc, and crosses of, far outnumbered any other breed group. From this was born the idea to establish a canine education centre. A place where dog owners can come learn about canine behaviour, train their dog and learn to understand them. A place where dogs and dog owners can learn, socialise and have fun. Our obedience (or manners) classes are structured to teach you how to be your dogs? best friend. We don?t just teach sit, drop, come but how and why we teach it & when and where to use sit, drop, come. We teach you to teach your dog and arm you with the knowledge of how to teach and make your dog the very best they can be. Diggers K9 Education understands you want a dog that is well behaved, manageable and an integral part of your family. We will help you achieve that in a fun and social environment. Our herding schools are a fun way for your dog to safely experience their herding instincts and a great way for you to understand them. 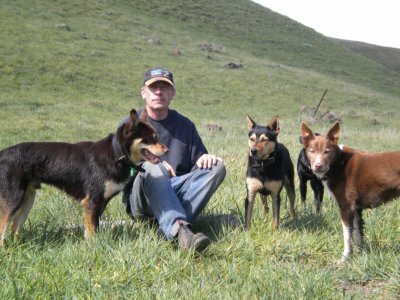 We teach you about the herding drive, how to work with it and give you an understanding of natural dog training. For those that get the herding bug we have regular training days. See our Herding Training Page or visit us on facebook for more information. We hope you enjoy our website. Please feel free to join us as a member or contact us for more information.